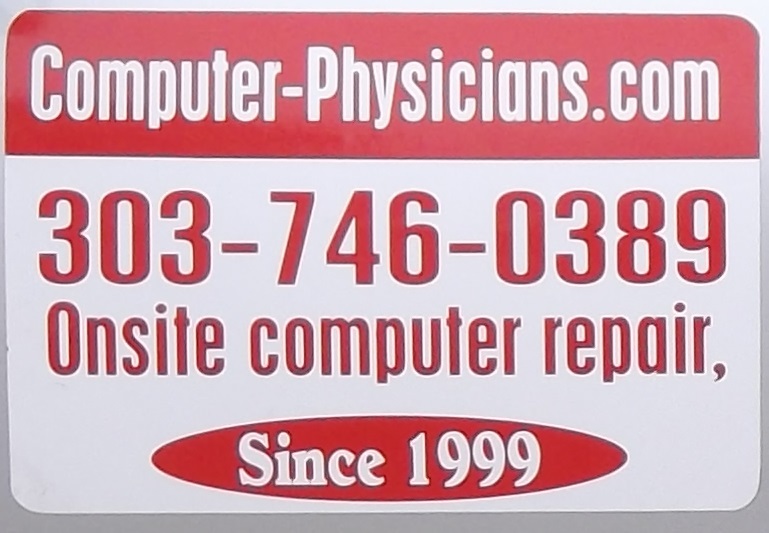 Computer Physicians of Longmont Provides help with teaching, training, tutoring on how to use the computer, smart phone, tablet, and programming accessibility methods to more easily use the devices. For seniors and handicapped people who have problems accessing the computer system. 1. Making the page, fonts, letters, and words bigger to make it easier to read. Adjusting the size of the screen. Configuring the back light, brightness, contrast of the screen. Adding an onscreen magnifying glass to the screen so that they can adjust the screen as large or small as they want. 2. Configuring and adjusting the touch sensitivity of touch screens to more easily use the touch screens. 3. Programming and configuring voice recognition to control the computer by just your voice and to write email, letters by using your voice only. 4. Many seniors and handicapped people cannot move the mouse and double click the mouse buttons effectively because of shaking hands. Steve at Computer Physicians will either customize the mouse to make it easier to use or eliminate the need to use the mouse and using other ways to control the computer. 5. Program and configure the computer/tablet/smart phone for hearing impaired people. 6. Program and configure the computer/tablet/smart phone for people with mobility problems. 7. There are many other program and configuring issues that could also be done to help people with all types of physical limitations. 8. Setting up and teaching how to use the computer/tablet/smart phone to provide video conferencing, send pictures, etc. to keep in touch with loved ones. 9. Using the computer/tablet/smart phone to use as a telephone to call anyone in the world and talk as long as you like for free.